The Classic Elite is an international bestseller for the Make-Up, lash, hair, tattoo and air brush sectors. Each lamp has 150 color neutral (5600K) cold LEDs with a performance period of 50.000 hours which is identical to a durability of 20 years ordinary usage. The light can be dimmed in 4 stages (25%, 50%, 75%, 100%) with a comfortable touch screen. 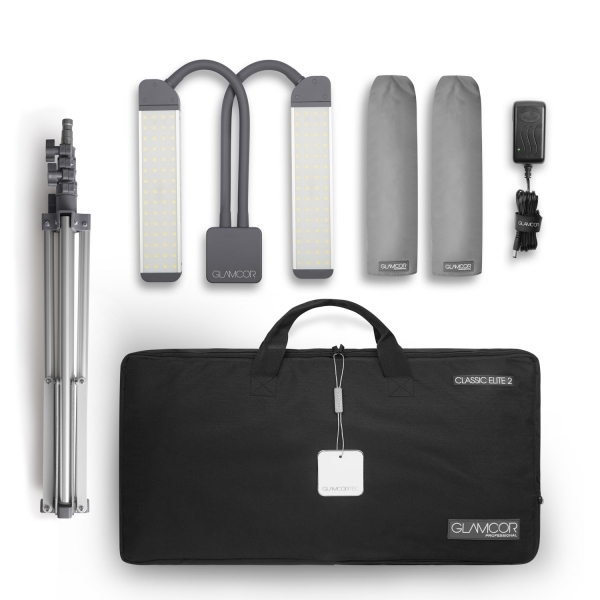 This way Glamcor solves a big lighting problem for having portable, cold light source on the go.